What kind of an athlete Ron “Butch” Williams was depended on the season, and sometimes even that wasn’t enough. 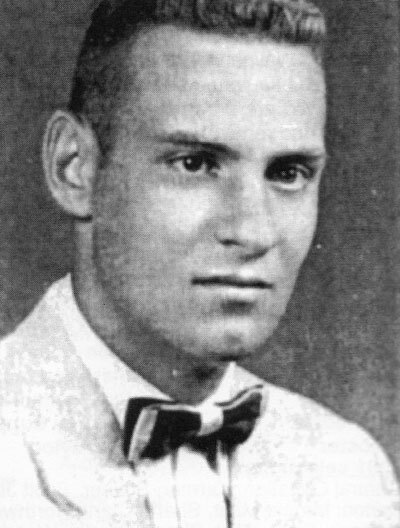 Williams was a four-sport standout at Doylestown from 1953-57, earning 14 varsity letters: four each in baseball and basketball and three in both football and track. In 1957, Williams competed in the state track meet in the long jump. The next day, he was behind the plate as a catcher for the Chipp baseball team in the state baseball finals, then it was back to the track to compete in the high jump. In basketball, Williams was a first-team all-Wayne County League performer. In baseball, Doylestown finished as state runner-up in 1957. In track, Williams set a county and school record in the high jump, winning the county meet in that event and placing second in the long jump and shot put. Football was the sport he pursued collegiately, after twice being named All-WCL first team. After accepting a scholarship to Bowling Green, Williams was a standout middle guard on Falcon teams that went undefeated in 1959 and lost only once in 1960. The 1959 BGSU squad won the Mid American Conference and the National College Division championship. Williams was an honorable mention all-MAC performer in 1960, also landing a spot on UPI’s all-Ohio team. Williams coached football, volleyball, cross country, track and basketball at various times in his career. In 1993, he was awarded the “Meritus Track Award” by the Greater Akron Track Officials Association for leadership and dedication to the sport of track and field.